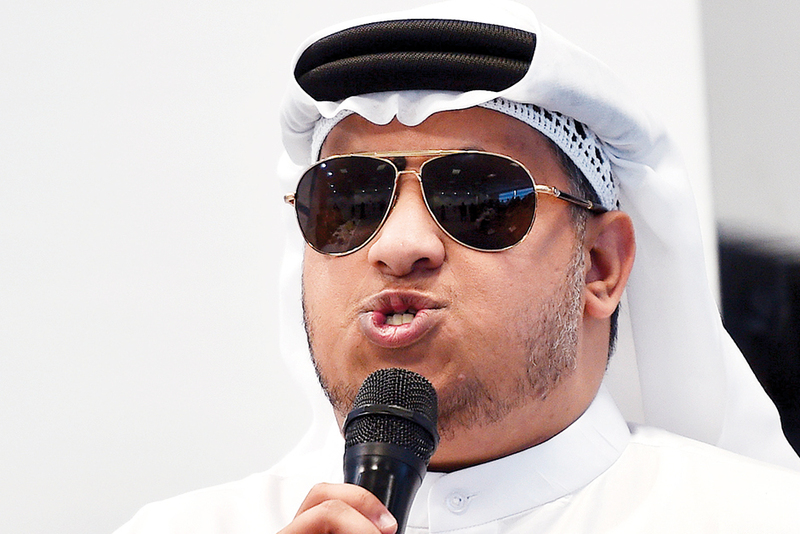 Dubai: The launch of the National Policy to Empower People of Determination (people with disabilities) creates a new understanding of the empowerment of this segment and enables them to play an important part in the country’s development, a top official said on Wednesday. Najla Mohammad Al Awar, Minister of Community Development, also announced at the press conference in Dubai the formation of an advisory council which will work towards implementing the policy. The national policy for empowering people with special needs was launched in April by His Highness Shaikh Mohammad Bin Rashid Al Maktoum, Vice-President and Prime Minister of the UAE and Ruler of Dubai, with the mission of creating an inclusive, restriction-free society for this segment — that empowers them and their families and guarantees their right to a dignified life. The announcement in April came with an order to refer to people belonging to this segment as “the determined ones” rather than people with special needs. The national policy, Shaikh Mohammad said, is based on empowering the determined ones through six key goals: health, rehabilitation and accessibility; education; social security and family empowerment; public life; culture; and sports. The ministry revealed that under the policy’s health pillar, a national registry for newborns with disabilities and delayed development issues will be launched and a central database for all cases in the UAE established. Al Awar said an advisory council, consisting of members of the community, including “people of determination” who have extensive knowledge and expertise in the field, will provide their advice and opinion to achieve the goals of the national policy. “The launch of the policy comes as a result of the leadership’s vision to ensure that every member of the community is empowered, especially the determined ones. The government believes in their capabilities and the role they can play in the advancement and development of the country,” she said. The policy, she added, is the product of close cooperation and coordination between the ministry and all relevant authorities at the local and federal levels with objectives that will guarantee this segment’s right to a dignified life with enhanced opportunities. “This interaction on a national level to achieve the policy’s mission will ensure we have an integrated community. It also guarantees this segment will be empowered along with their families. Setting up policies and innovative services will allow them to showcase their abilities and prove their important role in society,” she said. Al Awar said the advisory council was set up to offer advice for continuously developing services and finding solutions in record time for issues facing this segment of society. It will work towards identifying challenges, proposing solutions, and promoting equal opportunities to help people of determination overcome all obstacles that limit their active participation in building the future. The council will be headed by Dr Ahmad Al Omran Al Shamsi, adviser of the Executive Council of Dubai, and the council’s members would also include a ministerial team tasked with providing consultations for proposed initiatives and following up on their implementation, Al Awar added. Sana Suhail, undersecretary of the Ministry of Community Development, said the six goals address everything that relates to the determined ones, with a number of initiatives launched under each to achieve the policy’s objectives. “In addition to the council, there will be an official at every institution and body that will be responsible for facilitating and approving services for people with special needs. They will act as a link between the people of determination and an entity’s staff in addition to constantly recommending better solutions and suggestions,” she said. During the conference, Ahmad Aleghfeli, a visually impaired employee of the Ministry of Community Development, said the policy would give entities an incentive to offer more for people of determination. “It’s a very positive step for us. Also, changing the way we are referred to as the ‘determined ones’ will change the perceptions of many people towards us,” Aleghfeli said. The members of the Advicory Council are: Dr Ahmad Al Omran Al Shamsi, adviser of the Executive Council of Dubai; Kalitham Obaid Al Matroushi, vice-president of Al Thiqah Club for the Handicapped; the director-general of the Sharjah City for Humanitarian Services (SCHS); and the director-general of the Dubai Autism Centre. The council also includes Manar Mohammad Al Hammadi, a lawyer; Louai Saeed Alai, employee at the Sharjah Electricity and Water Authority; Dr Qais Ebrahim Mekdad, associate professor in Special Education at the Faculty of Education at Zayed University; Badriya Al Jaber, head of Girls Division at the Dubai Centre for People of Determination; Budoor Saeed Al Raqbani, director of the Kalimati Speech and Communication Centre; Steve Carpenter, head of Health, Safety, and Risk Management at WSP Consulting; and Reem Al Fahim, CEO of the SEDRA Foundation, along with representatives of relevant government authorities.